Home » Blog » Satisfil tablets review: Is Satisfil The Best India Has To Offer? Satisfil is a medication that seeks to deliver what the name suggests: satisfaction. This is what men with erectile dysfunction are looking for. Manufacturers all over the world are working round the clock to produce ED medications with Sildenafil citrate as the active ingredient. This ingredient is also the active ingredient in the most effective ED drug ever created, Viagra. The drug has become iconic and remains undefeated for the past few years. Tripada joined the race to produce the most effective ED medication back in 1997 when the company was formed. Tripada developed Satisfil with a view of providing access to ED medication for the countless men who could not afford Viagra. Other products by the company include antidepressants, anti-epileptics among others. The company has gained GMP and WHO certifications in addition to Schedule M when it comes to production standards. Satisfil is a new drug, making it quite difficult to get online reviews on the same. Other famous generic ED drugs such as Kamagra, Caverta, and Suhagra have positive online reviews. This could mean that Satisfil has not been adequately marketed like its competitors. The effectiveness of this product is quite hard to judge due to the lack of online reviews. The manufacturer praises the product, but in the end, the true determinant of effectiveness is customer feedback and reviews. A set of 4 Satisfil tablet goes for $1.09. This puts the price of 50 mg pills at $0.25 each. This is considered cheap, even in the case of generic medication. The only available dose for this medication is 50 mg. If a higher dose is needed, take the 50 mg several times e.g. in the case of 100 mg, take 2 50 mg pills. The recommended initial dose of this medication is 50 mg. The dose can be increased to 100 mg to those who need a higher dose. The medication should be taken only once every 24 hours. The drug is stocked by a few online pharmacies for those looking to buy it online. Also, local drug stores stock the medication in India. Even though it is illegal to sell the medication to men without a prescription, there are online stores that bend the rules and sell Satisfil without a prescription. 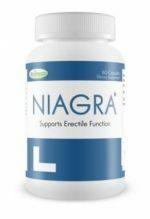 This drug is meant for use by men who have been diagnosed with erectile dysfunction. Self-medication is not recommended as the drug may have adverse effects on the user. For better efficacy, take Satisfil on an empty stomach about 1 hour before sexual activity. Sexual stimulation is required for the drug to be effective. Some of the users of this medication may experience headaches, nasal stuffiness, blurry vision and facial flushing. Some users have also reported experiencing fever, seizures, myocardial infarction, edema, heartburn and muscle pain. Satisfil is a product that mainly targets the Indian market. 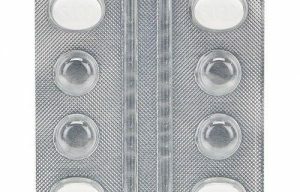 With a large number of companies producing generic ED medication, it is becoming difficult to judge which is the best. With the lack of online reviews, it becomes even more difficult to judge the effectiveness of this drug. All in all, Satisfil deserves a rating of 2 out of 5.